This solid, raw or bare copper wire is known for its lovely warm hue and soft, supple strength. The copper is naturally bright and shiny, without plating or coating, however, it can be oxidised to create an antiqued, vintage look. 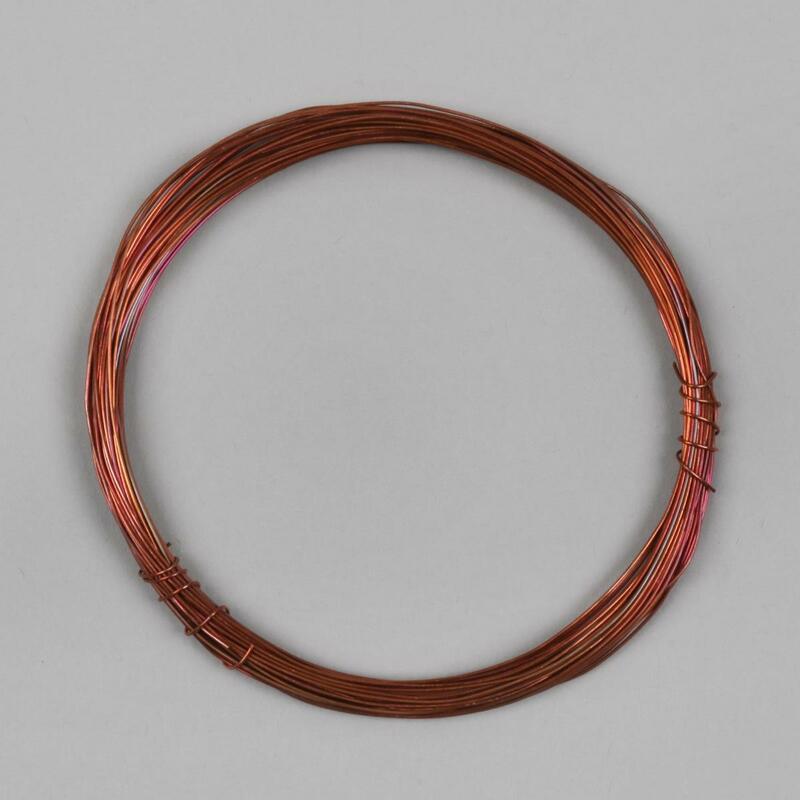 A mid-gauge at 0.5mm in diameter, this Raw Copper Wire is essential for so many jewellery-making techniques. This wire is great for making eyepins, wire wrapping hair accessories, wire crochet and also viking knit. With 12 metres on the reel, why not pick this up and top up your stash? My favourite medium to work with at the moment. I love working with bare copper and I've made a few adjustable rings for myself.